I confess that I have been thinking for a long time about the collective looney bin that best describes Russia’s leaders. I mean loony bin in the direct sense — when our leaders, suffering from real delirium, utter complete nonsense. Take, for example, the in absentia conviction last week of Alexander Poteyev, former deputy head of the “S” department of the Foreign Intelligence Service who oversaw sleeper agents. In the verdict written by the judge, Poteyev betrayed Anna Chapman and the other sleeper agents working in the United States. But in the material released by U.S. prosecutors after the Russian agents were arrested, it was clear that they had been followed by U.S. investigators for 10 years — and without any help from Poteyev. Finding a juicy hotdog lathered in ketchup has gotten a bit harder since Mayor Sergei Sobyanin took office. Forty of the 150 Stardog!s hotdog stands dotting Moscow have been shut down over the past week, and another 20 are expected to be closed shortly, said Sergei Rak, director for development with Markon, the private company that runs the Stardog!s chain. A visit by Sobyanin to the Ulitsa 1905 Goda metro station during an Oct. 30 city tour promoted the kiosk crackdown. Sobyanin complained that the kiosks blocked the view of a historical monument and were located too close to the metro station. The head of the Presnensky district, where the metro station is located, was fired on the spot, together with the head of the central Tverskoi district. The official reason given for the dismissals was that the officials’ work contracts expired Nov. 8, RIA-Novosti reported. Now we ask you, dear reader: How is this behavior any different than Stalin’s would have been? Is Russia’s really the type of economy that can afford to wipe out hundreds of thriving small businesses on a daily basis in an arbitrary, unpredictable, nakedly illegal manner, thus sending a clear message that setting up any such business is a gamble at best? Just a few weeks ago, Sobyanin had declared: “Small and medium-sized businesses are in need of aid.”Referring to bureaucratic barriers for small business startups in Moscow, he said: “We should take them away. Then there will be a completely different investment climate.” Any number of kiosks might have opened specifically in reliance on these words, only to have the rugged yanked out from under them just as the Russian regime has done to so may others, domestic and foreign alike, for so many years now. “Are you scared?” someone asked me during a talk in New York last Friday night. I always get that question. I am a journalist working in Russia, where 19 murders of journalists remain unsolved. Russia ranks eighth in the Impunity Index compiled by the Committee to Protect Journalists — the only European country on the list, it is wedged between Nepal and Mexico. People may be forgiven that being scared is an occupational hazard for me. So I gave my stock answer: “No, I am not scared,” I said. “I have been at times, but right now I don’t seem to be doing anything particularly dangerous.” This is true. 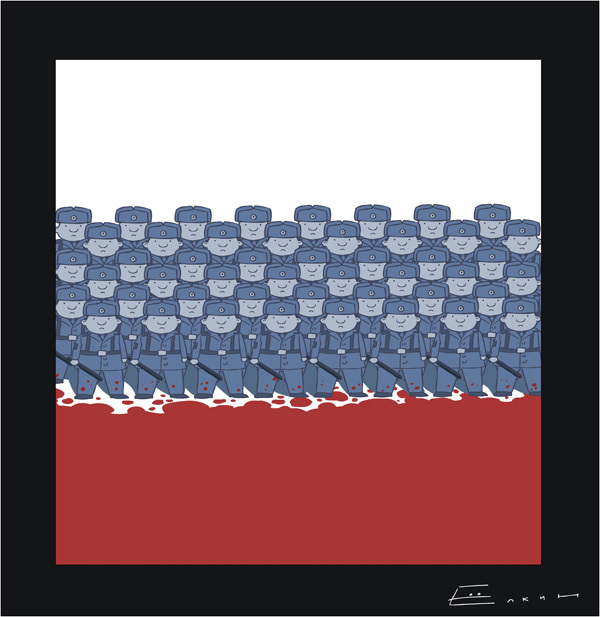 A Military Coup for Putin’s Russia? When one-time furniture salesman Anatoly Serdyukov was suddenly named Russia’s defense minister, many career military officers smirked. Now after tens of thousands have lost their jobs under his reforms, the mockery has turned to rumbles of possible mutiny. A union of veterans from the Airborne Forces, considered the most professional and proud branch of Russia’s military, has set a protest rally against Serdyukov for Sunday. It is unclear whether any serving officers will take part, but the rally in a Moscow park down the road from the Defense Ministry has raised fears of an uprising in one of the world’s largest armies. Some observers say that the veterans’ campaign against Serdyukov, the first civilian defense minister in 90 years, may have been orchestrated by members of the top military brass and weapons industries who have lost power and money because of his reforms. Deutsche-Welle, one of the best sources of reporting on Russia, has published a brilliant exposure piece on Sergei Sobyanin, the handpicked, unelected new mayor of the city of Moscow. 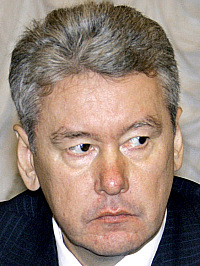 Here is what Sobyanin said after he was “elected” governor of Tyumen provience in 2000: “There is opposition, look! Only 24 out of 25 deputies have voted for me.” Such a remark could easily have been made by a stooge of the Soviet empire, and indeed quite often was. Now, Sobyanin has been placed in charge of one of the world’s largest cities by exectutive fiat of the Kremlin, and he will be its slave. Democratic politics at the local level has been absolutely and finally extinguished, and it has been carried out by the so-called “liberal” reformer Dima Medvedev. Reading tea leaves — or coffee grounds if you happen to be in Russia — won’t help anyone guess who the next mayor of Moscow will be. My prediction is that our leaders will opt for the candidate who is least likely to make a play for the Kremlin in the future. But Yury Luzhkov’s firing has made one thing very clear: United Russia is not a political party at all. In reality, it is little more than a superficial label or a badge worn by the overwhelming majority of high-ranking, opportunistic state employees. Examples of genuine parties include the Institutional Revolutionary Party, or PRI, in Mexico; the Communist Party of the Soviet Union; the Communist Party of China and the Liberal Democratic Party in Japan.